Members of DxE, a strictly non-violent organization, disrupted Brighton's leather and fur stores as they marched around the city center. 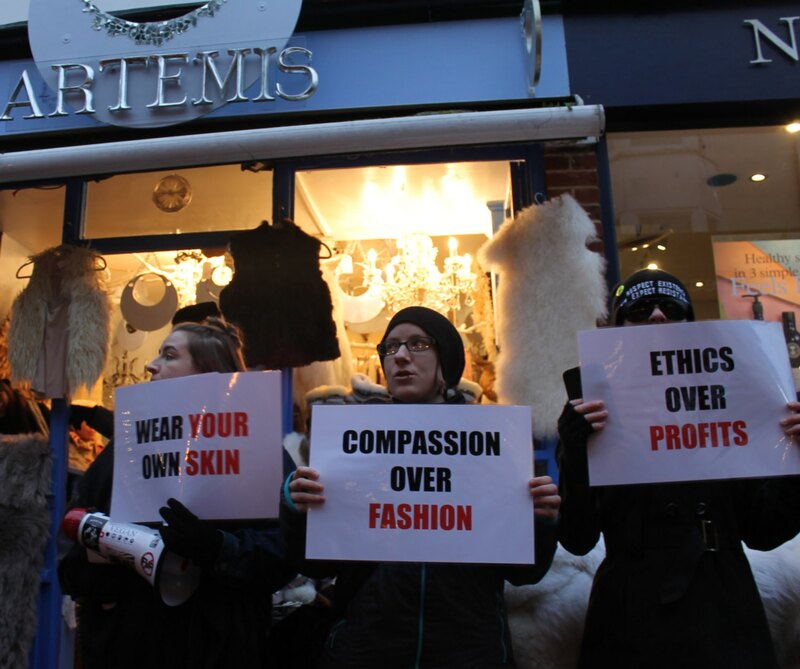 Protestors also went inside shops to shed light on the reality behind the leather and fur industry. One protestor said: "Anyone who sells the skin and fur of animals has blood on their hands. No-one with an ounce of empathy thinks causing pain and taking life for a coat or a rug is just or right in any way." 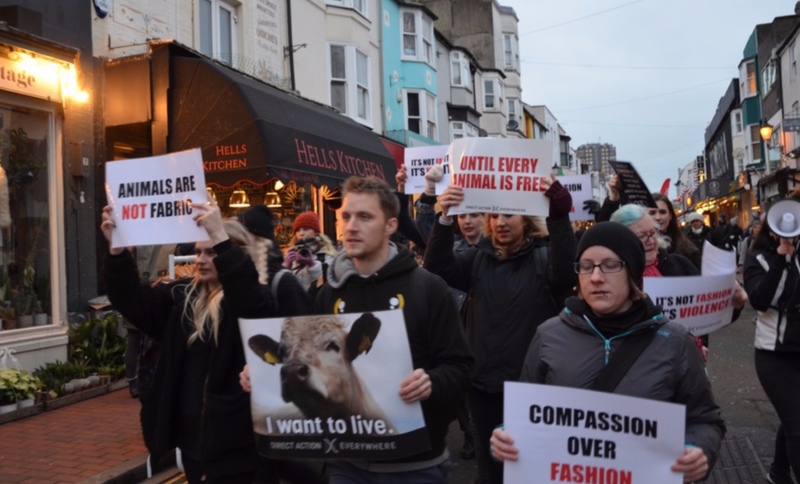 Brighton has a number of stores that sell non-vegan clothing, such as Artemis and Hope and Harlequin. Brighton's DxE press liaison said: "We need to recognize cruelty for what it is. We will not have a better world until we recognize the victims of our choices and act accordingly. "Do not be indifferent to these animals lives, suffering and deaths. The true test of your character comes from how you treat those at your mercy and those being victimized by others." According to PETA, the global leather industry slaughters more than a billion animals every year, where they're subjected to cruel practices such as castration, branding, and dehorning.